When I found out that Exhale Battery Wharf Spa was offering a "Barre to Bar" deal where you take a core fusion class then head to the Fairmont's restaurant, Aragosta, for drinks and apps, I was immediately intrigued. Exercise followed by cocktails? Sign me up! Living down the street from Exhale, I've been meaning to get over there for a class so this was the perfect excuse. 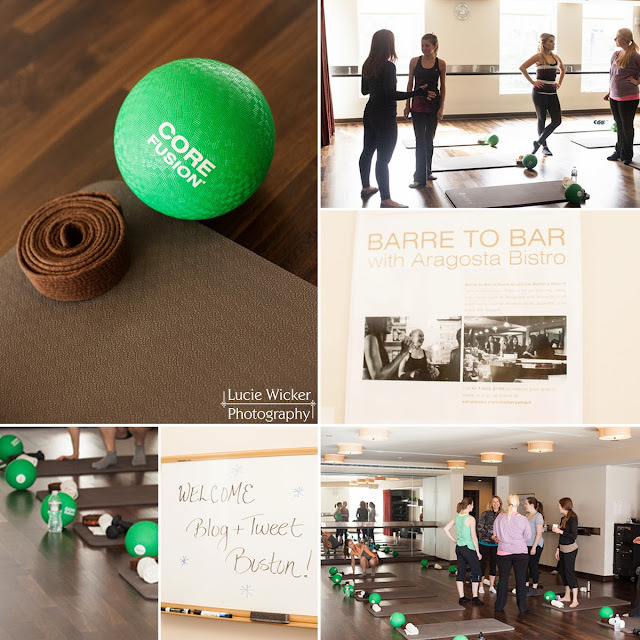 I had been once before but that was for a photo shoot with one of their instructors, Meg Scannell (post coming soon). As luck would have it, Meg was our teacher for the class too. First the workout- what a burn! 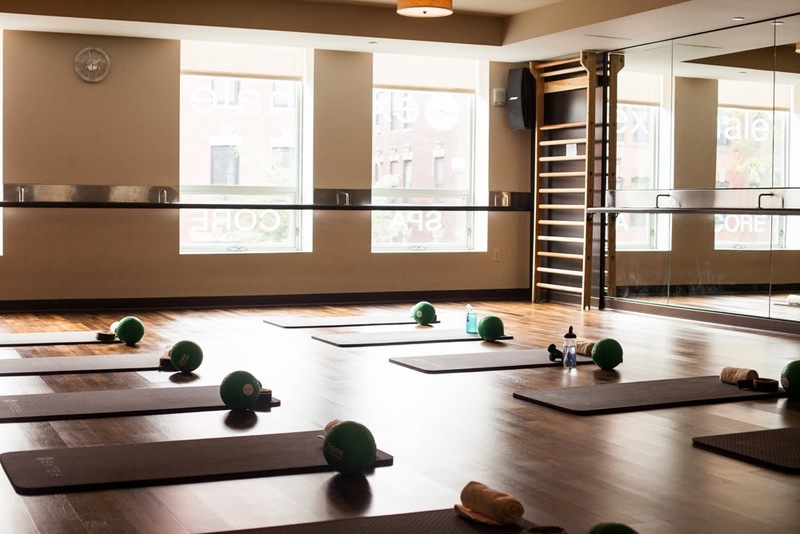 Core fusion is ballet-inspired and designed to tone every part of the body. I left feeling tighter and thoroughly worked but also relaxed- the class is all about focus and "targeted mindful muscle movements." It was one of the hardest classes I've taken and I really enjoyed it. After the class, we headed over to Aragosta where we were treated to several hot appetizers and a "deep cleanse" cocktail which consisted of aloe, muddled mint, and gin. Ahhh! 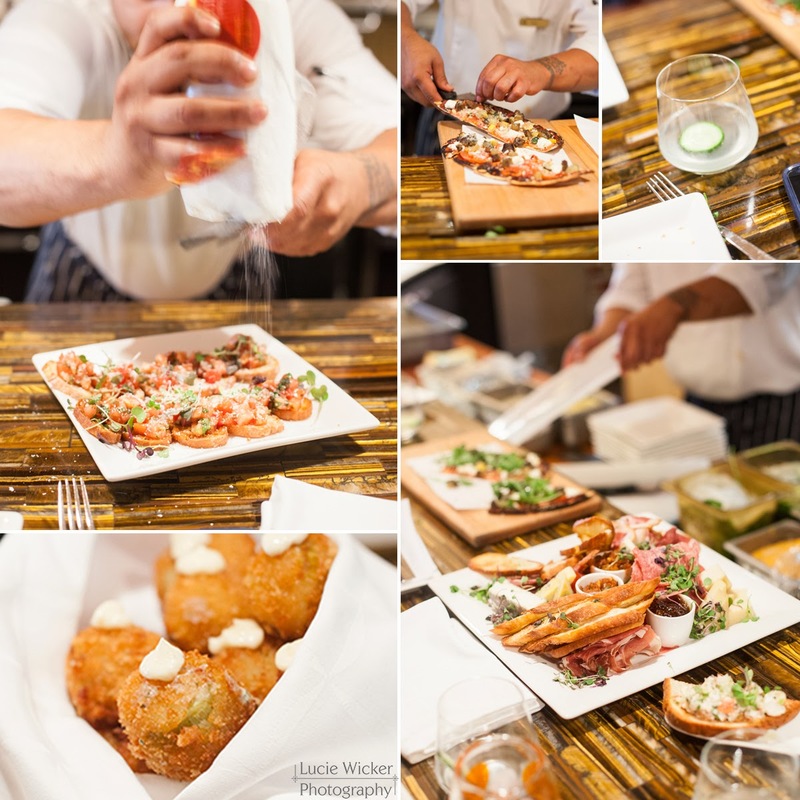 Everything was delicious and the staff was extremely friendly and accommodating. They even made gluten-free apps for some of the women in our group (which were excellent as well). What better way to spend an afternoon? For more information about Barre to Bar (offered Monday through Friday) contact Exhale at 617-603-3100 or sign-up online at exhalespa.com/batterywharf. I'm already looking forward to doing it again! 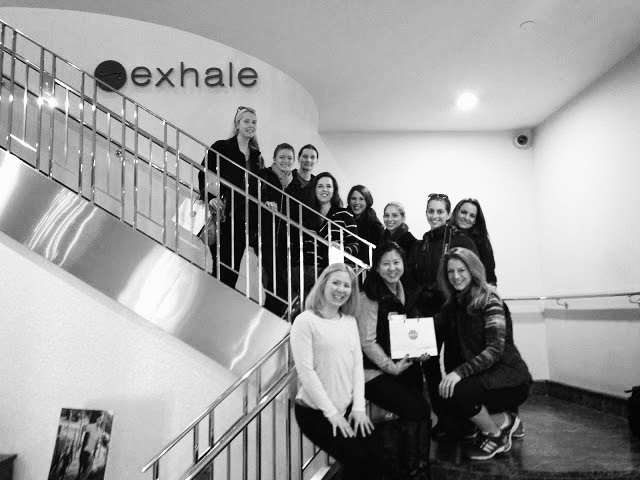 Thanks to Sam and Meg from Exhale for taking such good care of us and to Blog & Tweet Boston for organizing!